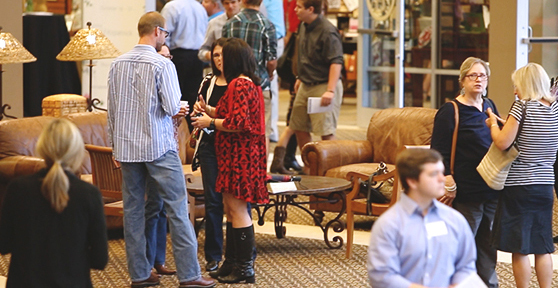 If you live in Middle Georgia, we hope that you will consider becoming part of the faith-family at Ingleside. Ingleside is more than a place; it is people who share a common commitment to Jesus Christ as Lord. It’s a spiritual family . . .
where all people are accepted and loved. where you can find quality programming led by ministers devoted to your preschoolers, children and teenagers. where you can get involved and really make a difference. where you will be challenged to love God with all your heart, to know and obey God’s word and to become all that He intends you to be. Knowing and honoring God is our passion and, because of that, we teach God’s word in practical ways. Week by week, we take the timeless truths of the Bible and apply them to the problems and challenges that we face each day. We know that choosing a church family can be a tough decision. You may be looking to find a place to develop friendships; or for a relevant message addressing concerns in your life; or maybe you are looking for a church that has ministries for everyone in your family. Whatever you are looking for, we believe we can be an encouragement no matter where you are in life’s journey. Discover our worship service options!